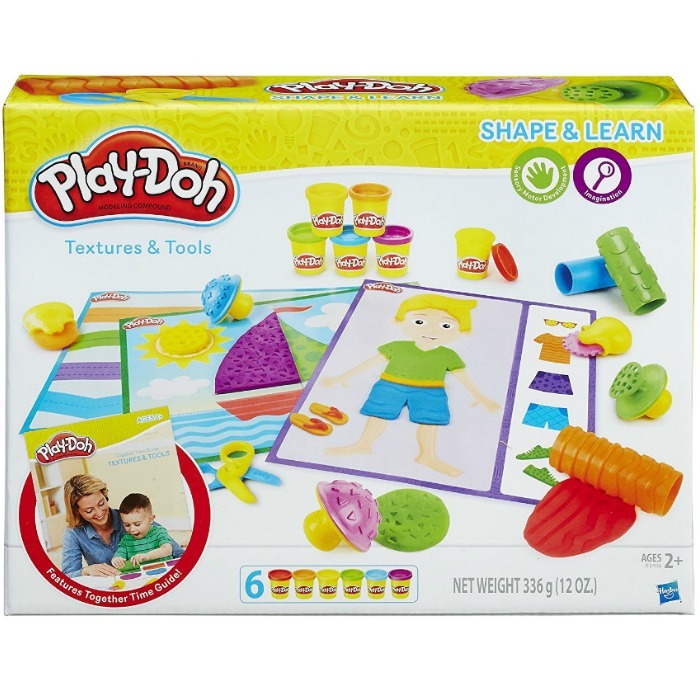 Play-Doh Shape and Learn Textures and Tools Just $5.81! Down From $17!! You are here: Home / Great Deals / Amazon Deals / Play-Doh Shape and Learn Textures and Tools Just $5.81! Down From $17! Play-Doh Shape and Learn Textures and Tools Just $5.81! Down From $17! Amazon has this Play-Doh Shape and Learn Textures and Tools for just $5.81 (Reg. $17)! Designed for kids ages 2 and up, the chunky stampers, patterned rollers, stylus tool, and textured cutters are great for little hands to practice their muscle strength and motor skills as they imprint different patterns into squishy Play-Doh compound. With these tools and the double-sided playmats, kids can practice skills that can help promote their sensory-motor development, including visual processing and motor skills. With the tools in this set, you and your child can work on variety of foundational skills by asking ‘what if’, exploring ideas, and making discoveries!